Scotland has vast amounts of oil in the North Sea and now Scotland is set to benefit from the revolution in renewable energy. The country has struck the natural lottery twice. But how can this rich combination of energy wealth benefit the people who live in Scotland? This year Scotland faces a choice between two futures. With independence, Scotland can continue to power forward its energy policies. The opportunity of creating more jobs and investment is on the horizon. But the full benefits of these policies are only possible with the full economic power of independence. This article explains how an independent Scotland can become one of the richest energy nations in the world and why this opportunity is crucial to Scotland’s decision on September 18th. 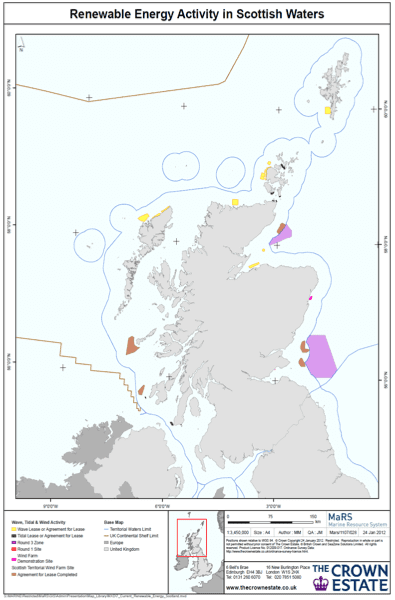 North Sea revenue transformed Scotland into a European energy hotspot. With prices, investment and reserves all high, this is set to continue. Today Scotland’s coastline and position near the Atlantic creates the highest renewable energy potential of any European country. This provides the opportunity to transform Scotland’s economy for the better. How can these rich energy resources translate to economic success and improve the finances of people in Scotland? Energy resources are vital to the economy and jobs. With prices for oil and gas continuing to rise and nuclear power costs still high, every country in the world faces energy challenges. For this reason renewable energy provides a huge opportunity. Countries in sunny or windy climates can invest in these emerging technologies and provide energy security and reduce costs. There is no easy or simple solution. Solving the energy challenge requires governments to take decisions that are ambitious and generate economic opportunities. From analysing official reports, the evidence suggests that Scotland has some of the greatest opportunities in the world to succeed in its energy policy. Scotland needs three things to flourish: 1) an ambitious energy plan for energy independence and exports to England and Europe; 2) investment in manufacturing and infrastructure to create jobs and make sure this wealth stays in Scotland; and 3) the full economic powers of independence to make this happen. With this approach Scotland can achieve 7 successes: expand production, provide energy security, reduce energy costs, boost energy exports, establish a Britain-Ireland energy network, establish a North Sea energy grid to connect to the continent, and increase rural development. How can Scotland expand its energy production and create opportunities to sell energy outside Scotland? Two reports suggest that investment in Scotland’s world class wind, wave and tidal potential is crucial. The Scottish Government strategy plan concluded that Scotland should build capacity for up to 14.1 Gigawatts of exports by 2030 and a 69,000 Gigawatt hours total output. The Government described this as “both a statement of intent and a rallying call, embodying our firm belief that Scotland can and must exploit its huge renewables potential to the fullest possible extend”. This energy expansion has been set in motion by several Scottish Governments since devolution. The current Government aims for a substantial expansion of offshore wind generation from 5.8 Terawatt hours in 2010 to 45.7 TWh by 2030. The research calculates that Scotland can provide energy security with a transition to Carbon Capture and without the need for any nuclear power stations by 2030. The report also supports reducing the cost of emerging technologies in renewables including energy storage systems. The environmental report suggests that Scotland can go even further in its renewables expansion, as demonstrated by the graph below. 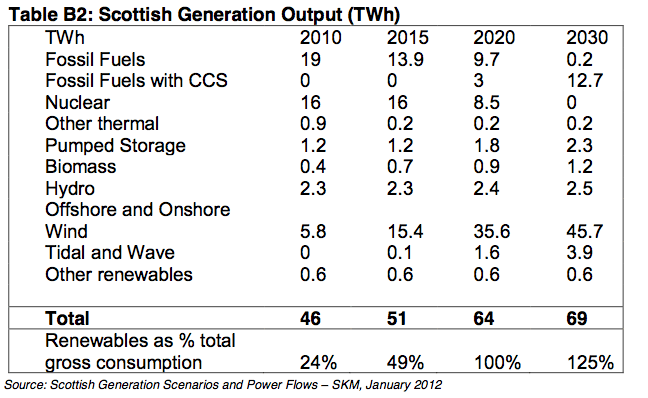 It suggests that Scotland can develop a surplus of 50,858 GWh in electrical energy. Both studies highlight the vast potential for more jobs across Scotland through renewable investment and agree that setting up transmission upgrades for exports via a North Sea grid and to Ireland is viable. How do you transmit this extra energy? The ability to make the most of this surge of energy in Scotland requires planning and leadership on transmission systems. An important 2012 report set out how this will be achieved with a 1.8 GW West Coast cable between Hunterston and Deeside in Wales and a 1.8 GW East Coast cable between Peterhead and Hawthorne Pit in Humberside. There is also a plan to link Shetland, Orkney and the Western Isles and a Hunterston link to Carradale in Argyll. The report also makes a case for reinforcement in Caithness and strengthening links to England for increased exports. 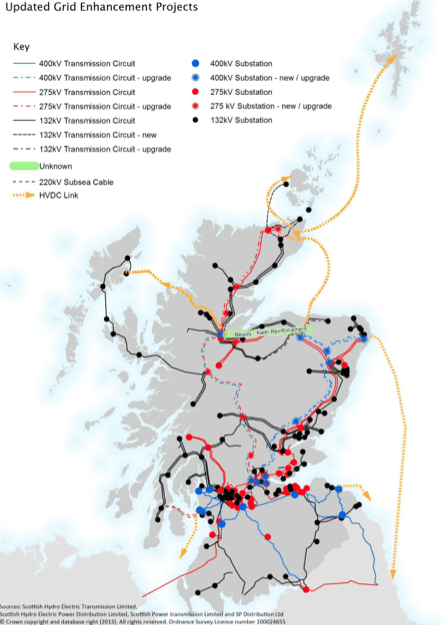 The Scottish Government’s National Planning Framework has an image of anticipated grid improvements, including crucial High Voltage Direct Current cable links from the renewables sources. Two key projects are in motion to develop Scotland’s energy links. The first is within Britain and Ireland. There is strong support to connect these renewables links. The second is through a North Sea energy grid. 10 countries have come together to construct a blueprint for the grid. This will connect Scotland’s energy wealth to the massive European market. 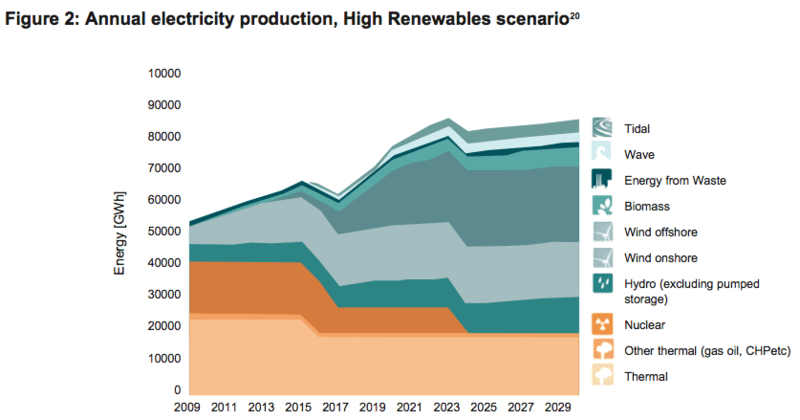 The European Climate Foundation’s (ECF) Roadmap 2050 found that transmission systems would be economically justified to allow long-distance transmission of renewable electricity. Exporting energy can create tens of thousands of extra, high skilled, well paid jobs across Scotland. How can this benefit people in Scotland? An expansion in renewable energy and Carbon Capture can bring thousands of new jobs to communities across Scotland. These will be long-term jobs as the energy projects will provide a skilled service for the community. Many countries face an energy crisis. Increases in costs for fossil fuels – oil and gas – are set to continue. Nuclear plants requite vast clean-up subsidy costs. This is passed onto the consumer. Scotland has a huge opportunity to reduce the costs of energy for both households and business. Consumers in Iceland have benefited from reduced costs as a result of geothermal energy for generations. 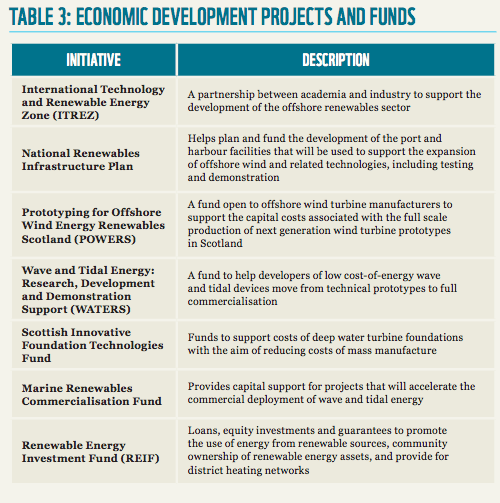 Scotland can lead the developing market in tidal and wave energy. This is a huge opportunity for business in Scotland. With research, development, skills and export support, businesses can sell their goods and services to the global market. With the correct support, this can provide a new energy boom for Scotland that is both profitable and environmentally secure. In a global energy market where demand is rising and crises such as Crimea can cause shocks to energy security, a Scotland which produces more energy than it uses will be exceptionally well placed. It is not so long ago that the UK faced black-outs. With an ambitious energy policy, Scotland will benefit from energy security far into the 21st century. The issue and impact of climate change continues to cause global concern. 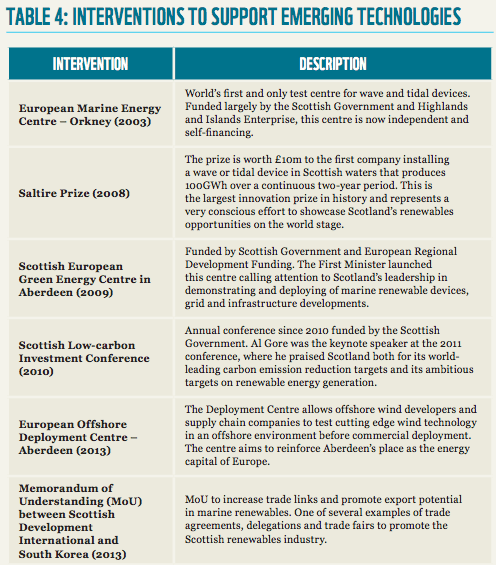 Scotland can demonstrate international leadership on new technologies and energy use. An independent Scotland which leads at a global level will provide opportunities for engagement in trade and cooperation at a global level. Why do we need independence to make this happen? If Scotland is so wealthy in natural energy, why would independence make any difference? It’s a reasonable question. 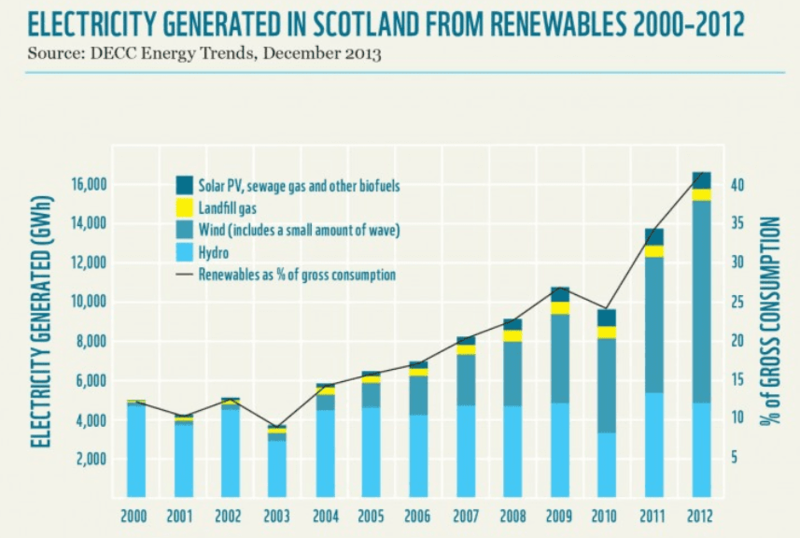 Scotland has been very successful expanding renewables with the powers of devolution. There are several answers. With some powers Scotland has done well. 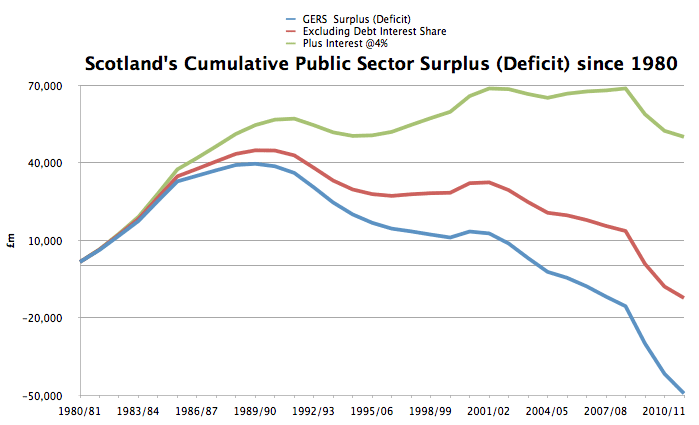 With full economic powers Scotland can do even more. Secondly, Westminster holds Scotland back in energy policy. Scotland’s North Sea revenue has been worth £300 billion, but Westminster failed to establish an energy investment fund. Norway – which started a fund – now has $840 billion and Scotland has £0. 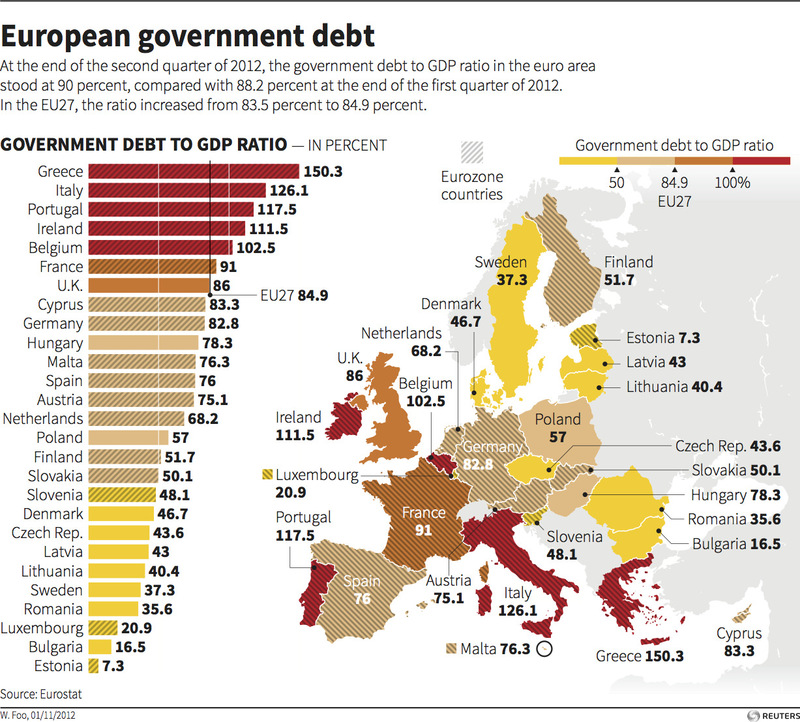 That’s the difference full economic control makes to a country’s finances. The best people to make decisions about Scotland’s future are the people who live and work in Scotland. The devolved Parliament in Scotland been led on planning and licensing. Westminster is now heading in a different direction. Westminster has prioritised expensive nuclear plants over new green technologies. This limits Scotland’s success. 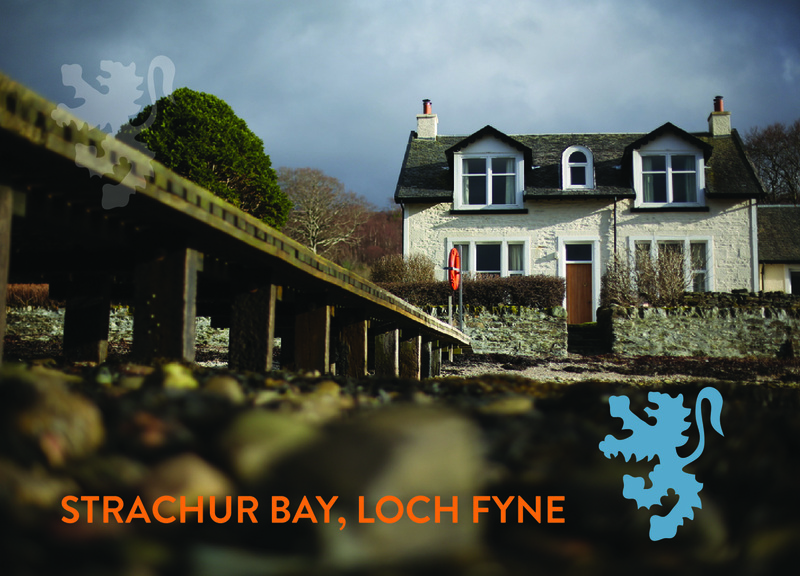 – Invest in crucial transmission links within the Scottish energy grid. – Structure research and development grants to support industrial growth in tidal and wave technologies. – Support Scottish manufacturers who want to export renewable technologies through a global trading and diplomatic network. – Ensure a stable and long-term commitment to renewables growth, which is continuously undermined at Westminster. 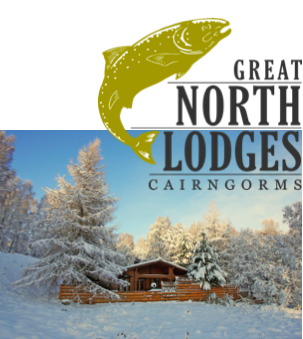 – Provide similar leadership on Carbon Capture and energy storage projects, as has been provided by Scottish Governments in planning law and financial incentives. – Ensure a fair charging system for access to the national grid. Currently the cost is higher for generators furthest from the main centres of demand. This helps London and the South East and, to an extent, the Central Belt but this is a disincentive for renewables projects across Scotland. The Scotland Government has requested that Ofgem review this charge. Independence will give Scotland greater influence over the energy grid. – Support connections between Scottish island renewables and the mainland grid. The current framework fails to consider the circumstances of subsea cable links and transmission charges. With independence Scotland can make the most of these energy opportunities and make sure that these vast natural resources benefit the people who live in Scotland. The last decade proves that Scotland faces a choice between two futures on energy. Westminster continues to undermine Scotland’s energy strengths. In contrast all Government in Scotland – SNP, Labour, Liberal – have supported the industry and its vast potential. It is only with the powers of independence that people in Scotland will benefit fully from the opportunities of Scotland’s energy wealth. With control over industrial policy, investment and international trade, Scotland can lead the world and make sure that we do not look back on this as a missed opportunity. An ambitious energy policy for Scotland has multiple economic, social and environmental benefits. It also faces challenges to make sure that Scotland benefits to the greatest extent possible from these opportunities. 1) Local and community ownership of renewable sources. The Scottish government has set a target of community owned renewable energy generation of 500MW by 2020. 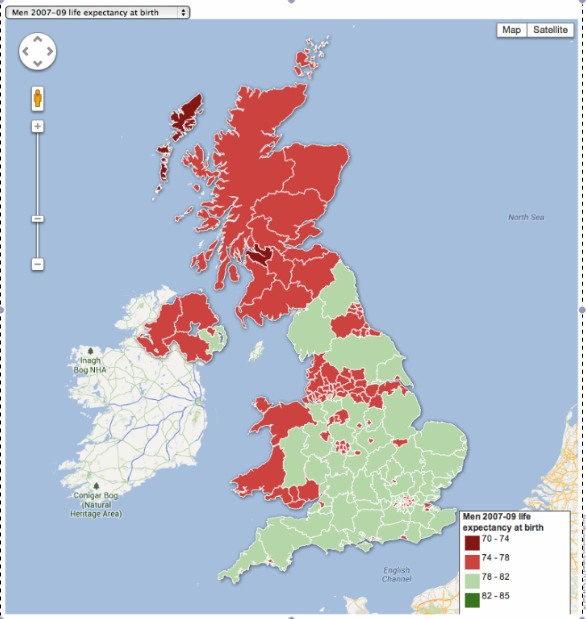 As of 2012, there are already 5,000 community owned energy projects in Scotland. 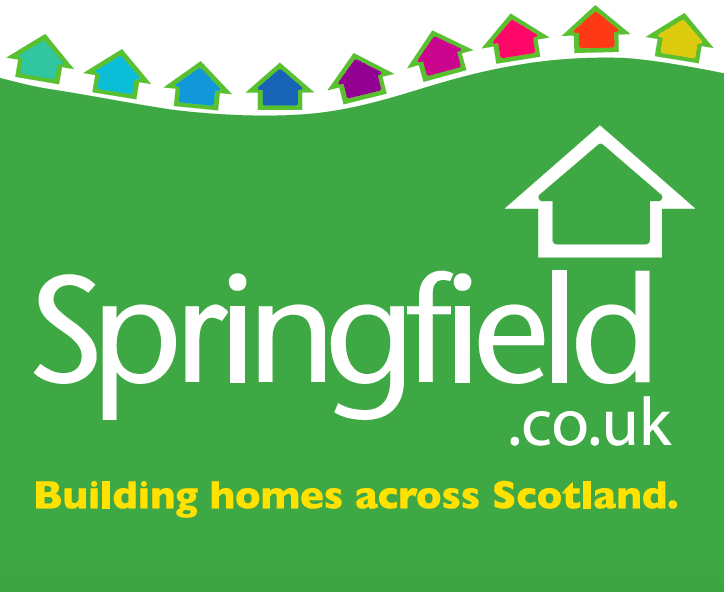 Expansion of local ownership can provide further entrepreneurial opportunities across Scotland. Local control and investment in energy resources can have a significant knock-on-effect to the wider local economy. Jobs and skills in manufacturing can provide opportunities to develop other local projects. Affordable energy supplies also acts as an incentive for businesses to invest in the local community. This is a challenge for an energy sector that is heavily concentrated. Targets and investment beyond 2020 will be crucial for Scotland’s economic development and ensuring that wealth generated in Scotland reinvigorates communities. Expansion of renewable technology and projects will brings more jobs and investment to Scotland. To make the most of this opportunity Scotland’s labour market needs skilled employees who can develop world leading projects. This requires cooperation between education facilities, the government and investors to gauge where skills are needed and how they can be provided. Creating skilled, well paid jobs in the energy sector will benefit communities across Scotland. This is a prime example of where Scotland can access its world leading university sector with research and development projects that tie ideas and innovation to employment and economic output. Tidal and wave technologies are new examples for growth. This challenge requires constant reappraisal in a face paced industry. The expansion of renewables provides an opportunities for manufacturing businesses to contribute to the supply line and to lead international innovation. The expansion of energy production can energise Scotland, but it can also re-industrialise Scotland. The European Marine Energy Centre on Orkney is an example of a Scottish institutional success. It is accessed by leading renewables investors from across Europe. 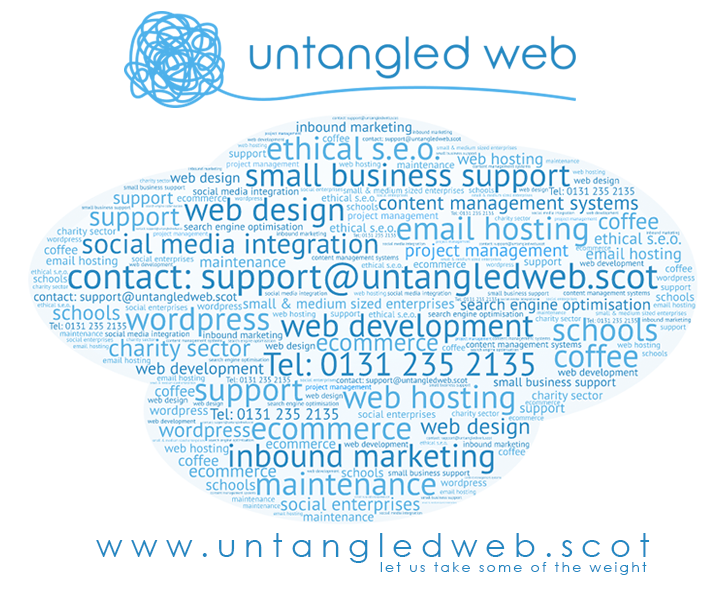 More, however, can be done in future years to encourage Scotland based investment and start-ups in the sector. Companies established in Scotland benefit the economy in many ways – not least that they pay tax, reduce transport costs and establish business hubs for further investment. This article describes a great plan for the future. 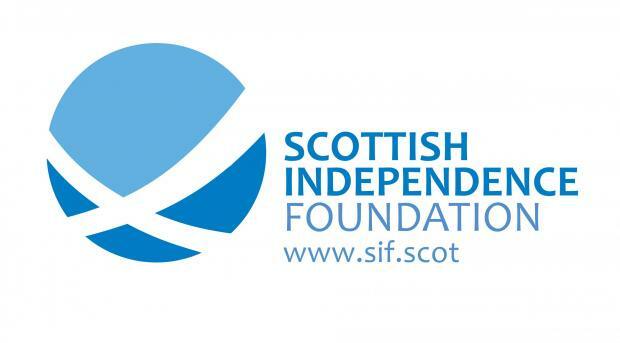 Virtually none of the underlying facts are altered by independence. Development of new sources of power requires investment and subsidies to overcome the high initial production and development costs. These have to be borne by the government or consumers. Danish electricity is the most expensive in Europe (27p/kWhr) because it supports their wind industry. In the UK reluctant consumers can only just be cajoled into paying a green levy to support UK renewable generators. It is inconceivable that they will pay a cross-border subsidy to support Scottish renewable industry. If you do not have the ROCs to pay off the venture capital, you do not have marine renewable industry. Independence will put a totally unhelpful national border into the mix which will complicate and slow down development and deployment of this crucial technology. If you care about big issues like climate surely you have to engage with the world rather than retreat into Nationalism. I think many people see a yes vote as engaging with the world and a have away from the growing nationalism that is starting to dominate UK politics. UKiP will lose their deposit in every first past the post election they ever stand for in Scotland but may hold the balance of power (replacing the Liberals) after the next UK General election. Most people that are voting yes are not nationalists but positive thinkers who want engage with the world through our own democratically elected parliament rather than through Westminster where our voice is largely irrelevant. f you care about big issues like climate surely you have to vote yes and work to see Scotland set an example for the rest of the world. As you know, funding renewable energy infrastructure is a complicated business and it is not possibly to do justification to the subject in a comment here. As you say, many of the underlying facts – namely the scale of the resource or the funding required to develop the technology – do not change with independence. What does change is the political framework and strategy that influences the setting of various support mechanisms used to correct fundamental failures of the energy market and which inevitable favour some technologies over others. Predicting the future impact, or the consequential price felt by the consumer, of these political decisions requires a detailed modelling exercise factoring in the full portfolio of generating technologies, prospective changes in the energy mix and long term trends in technology learning, fuel costs and regulatory support tariffs amongst others. Fortunately, this exercise has been completed with respect to the question of Scottish independence by a number of parties and I provide a brief overview here for those not inclined to do the research themselves. 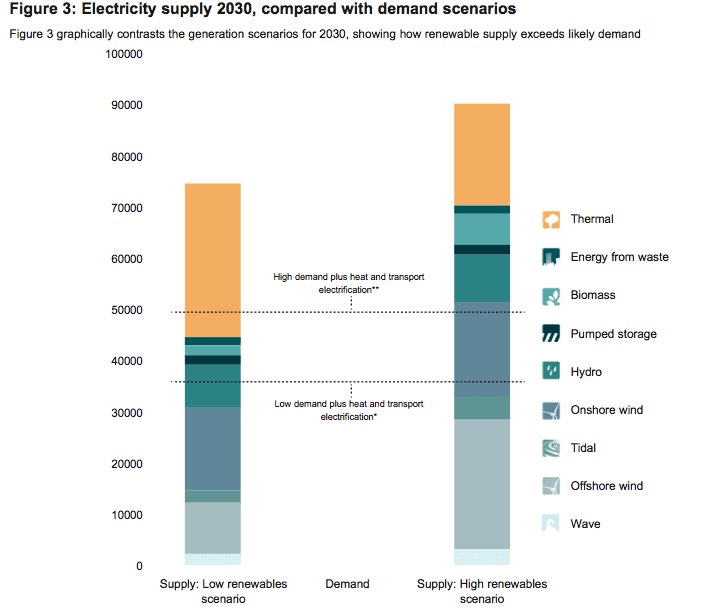 On balance it is possible to construe equally plausible scenarios for both a higher, and lower, energy cost in an independent Scotland with a high renewables penetration when contrasted against rUK with an equally fair analysis of its own potential generation mix. A conclusion that indicates there is no additional risk to the development of renewables in Scotland from independence per se. What is clear however is that, whilst part of the UK, decisions taken by the UK government will materially affect the viability of the renewables industry in Scotland, and that the UK government has opted for a high nuclear and gas strategy – a decision that is probably sensible for the densely populated state of England although makes little strategic sense for Scotland. These decisions have already started to have an impact, with a number of utilities pulling out of the sector as the changes in the EMR have become apparent. In a personal capacity, as someone whose business and livelihood is intimately connected with the success of the marine energy industry, I hold serious concerns about the future development of the sector in the event of a no vote. This all sounds great apart from the one glaring omission, price, how much is this all going to cost?, and will it be sustainable. What’s the cost of 1KWh of wind energy and how does it compare to other energy production sources? I can see why businesses might be keen, as this will increase their profits, but will this be reflected in our domestic energy bills? It appears that nuclear energy production in Scotland will be phased out by 2030, so where is base-load energy production coming from after that, we can’t rely on the wind blowing every day even in Scotland. Can you elaborate on who is going to pay for the renewable energy potential to be realised when the projects take 25 years to pay back and the currency question is unclear? I would like to be reassured that none of this wealth will come from Dart Energy fracking and that all new energy sources with not harm the environment. Dart has just finished with an enquiry in the Falkirk area, i would like to know what the outcome of this is and again, to reassure me that Scotland will be free of unethical business practices in energy. A thought provoking piece that I very much enjoyed. One question: Why no mention of the 23trillion tonnes of coal out there under the north sea? One hundred times more than the largest global coal producer has USA with 250bn tonnes. In context the energy taken from every cubic metre of natural gas produced in 60years since It was discovered under the North Sea amounts to only 2bn tonnes. One thousand years of energy right on our doorstep. Ah but its nasty smoky greenhouse gas emitting COAL you say! Here is the beauty of it: Five Quarters Energy have been awarded £1bn to develop a system of deep gasification off Tynemouth using drilling rigs due for decommissioning. High pressure steam and oxygen are fed down to the coal, in 20seems up to 1.5miles underground. Chemistry releases industrial gases, chiefly hydrogen and methanol which can be burnt for power production or used as feedstock for industrial plastic production. Burn hydrogen and you get energy and water. It is the ideal energy source. Hydrogen is the most bountiful element in the universe, and the greenhouse CO2 remains underground. It can be pumped into oil bearing strata to extract more oil and once there will solidify out into limescale. Win win win. But why is nobody getting excited about the further Lottery Jackpot win? I would still like to see more stuff about where all the investment is going to come from. Norway has a massive sovereign wealth fund but it does not invest very much in Norway’s domestic economy. Scotland needs to diverge from Norway’s model in this respect. The formation of an “oil fund” can certainly contribute to the creation of some sort of Scottish Strategic Investment Fund but the oil fund must avoid becoming a big piggy bank doing nothing very useful in the here and now, which is what they have got in Norway.